If you’ve ever wanted to life the life of a Regency lady but weren’t sure how, then this is most definitely the book for you. 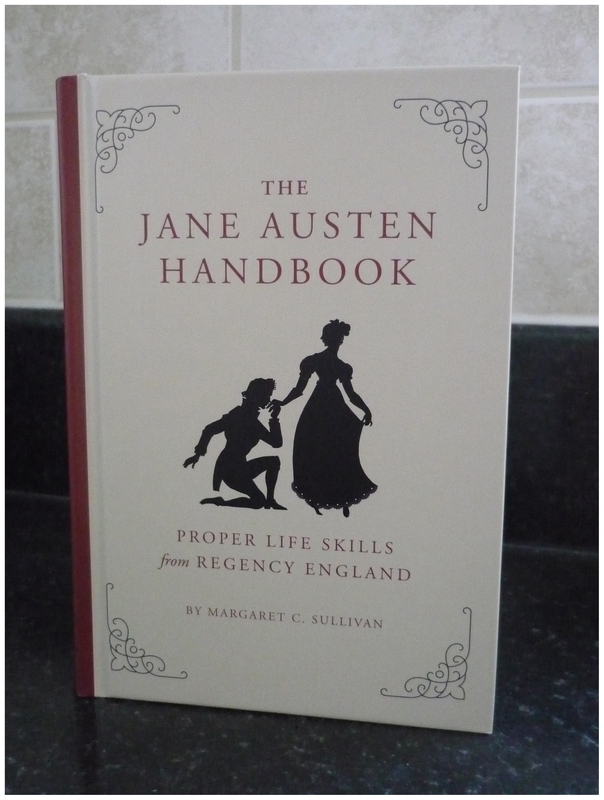 Consult the Jane Austen Handbook: Proper Life Skills from Regency England and you won’t put a foot wrong in any social occasion. Divided into short, easily digestible chapters, there is a how-to guide for practically any situation you stand to encounter; from choosing the right company, writing letters and planning a dinner party to how you might spend your leisure time, attending a ball and even carrying on a secret engagement, there are tips and hints aplenty so you can pass yourself off with a very respectable degree of credit. Did you believe Mr Wickham? Idle, irresponsible, cunning and dissolute are all words that spring to mind when thinking of Mr Wickham. Even at the end of the story, he doesn’t lose that charm which initially won over the whole of Meryton, leaving with many ‘affectionate’ adieus as though his presence will be missed! But before his true colours are revealed, he seems to have the makings of a romantic hero: a handsome stranger with happy manners, interesting conversation and the esteem of our beloved heroine. Are we not just as engaged by these as Elizabeth? Does he not set our hearts beating just a little faster with the thought of his ‘fine countenance…good figure, and very pleasing address’? 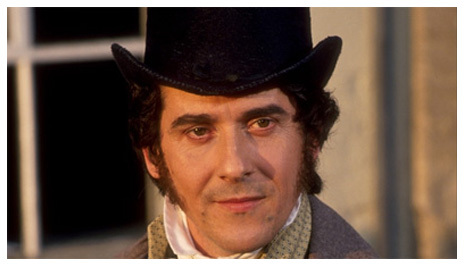 Adrian Lukis as Mr Wickham in 1995. We might be taught not to be deceived by appearances but why err on the side of caution when our spirited and intelligent heroine spurs us on? Even if we do not always agree with her view of the world, we tend to lead where she follows; her convictions and opinions are so well, and so playfully, expressed that the reader can’t help but admire her! So when Mr Wickham appears in Meryton, has that very awkward first meeting with Mr Darcy and proceeds to detail his side of the story to Elizabeth, are we not drawn in? Outraged by Mr Darcy’s disregard for his late father’s will? Saddened that Mr Wickham has been robbed of the livelihood to which he was entitled? And quietly confident that this is the man Elizabeth will eventually marry? 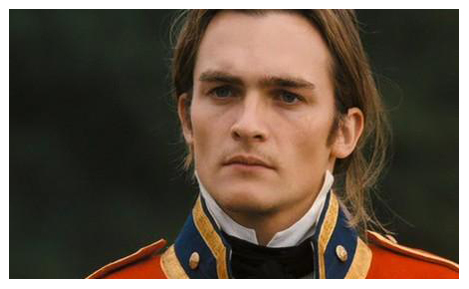 Rupert Friend as Mr Wickham in 2005. Knowing the story in its entirety, it’s very unsettling to think how Mr Wickham deceives us all! Oh yes, Jane Austen is clever, and outsmarts us all. She allows, actually wants, us to think badly of Mr Darcy for the first half of the story to add weight to everything Mr Wickham says. When he talks of Mr Darcy’s ‘high and imposing’ manners we recall that gentleman’s haughty reserve at the Meryton Assembly and the Lucas’ party. When Mr Wickham says Mr Darcy ‘hates him’, we remember that gentleman has a ‘resentful’ temper. No, it doesn’t look good for Mr Darcy; his nemesis takes the first blood and appears as his complete, and much more likeable, opposite. Mr Wickham’s temperament, by his own admission, is ‘warm’; he has no wish to speak ill of Mr Darcy out of respect of his late father’s memory (no resentful temper on display here at least); and everything about Hertfordshire society pleases him – we know Mr Darcy doesn’t share that particular opinion! So like Elizabeth, do we not pity Mr Wickham’s situation, and warm to him as a result? There are warnings that all may not be as it seems such as Jane Austen’s reference to his ‘skill as a speaker’. This may allude to his manipulative nature but who would know at this point? All his positive attributes seem to be physical too so does that suggest there’s something darker lurking under the surface? Perhaps, but we’re not likely to notice these suggestions until at least the second read. What we do learn is a good lesson in judging others too quickly; something Elizabeth has to learn too! The big question I want to ask is: did you believe Mr Wickham on first reading Pride and Prejudice? You can cast your vote below – and please don’t be afraid to be honest – my answer is ‘Yes’! Finding the right words can be difficult when worked up or incensed – emotion often takes over so you’re left either speechless, incoherent or just wanting to shout! Equally awkward can be situations where you need to say ‘no’ or express concern politely or curiosity gets the better of you – you want more information but don’t know how to get it without seeming nosey! Here’s where Jane Austen might be able to help. When I reread Pride and Prejudice recently, it struck me just how tactful some of the characters are. Of course that shouldn’t be a surprise as the characters were ruled by the conventions of ‘polite’ society but their skill at ignoring critical remarks, laughing them off, countering or expressing a frank opinion without offending made me think I could learn a thing or too. 1. Don’t rise to it! Sparks fly almost every time Lizzy comes into contact with Caroline Bingley. The latter is very helpful in pointing out all of Lizzy’s faults to Mr Darcy, just in case he was too distracted by her ‘fine eyes’ to notice, and isn’t afraid to speak her mind in her rival’s presence. With only one exception I can think of (the Netherfield Ball when the two women discuss Mr Wickham), Lizzy just lets this wash over her or rejoins without showing much, if any, emotion. Her replies surprise Miss Bingley, who can’t say anything further without overstepping the mark. Job done. A brief reply is all that’s needed. In response to Miss Bingley’s veiled criticism of her talents, she simply says “I am not a great reader, and take pleasure in many things.” Simple and to-the-point. No need to get worked up. And now you can get back to your book feeling quite pleased with yourself. Find humour in the situation. Lizzy excels at this! Ignore an intended criticism. See 1st bullet point. Mr Darcy is also master of this in his conversations with Miss Bingley. She doesn’t think badly of anyone without proof and even then she avoids a falling out! Lizzy has no intention of dancing with Mr Darcy at Lucas Lodge early on in the book. To escape, she simply says “Mr Darcy is all politeness” and then when pressed, walks off. So step 1: deflect the question and step 2: walk away! Mr Darcy didn’t take offence to that so hopefully the man who asks you won’t either. Mrs Gardiner is a model of tactfulness. She also possesses the power of persuasion: see her warning to Lizzy about getting too involved with Mr Wickham. Mr Darcy is perhaps the surprise entry here. He doesn’t like the way Caroline Bingley excludes Lizzy from their walk around Netherfield and says they should go into the avenue where the path would permit all four of the party to walk together. Elizabeth does this successfully on many occasions when the conversation, usually started by her mother, makes everyone feel a little awkward. 7. If all else fails, be honest. Say how you feel with authority but without raising your voice. Case and point, Mr Darcy. I’ll be doing a follow-up post on how to (or how not to) refuse a marriage proposal so do check back for it and see what you think. 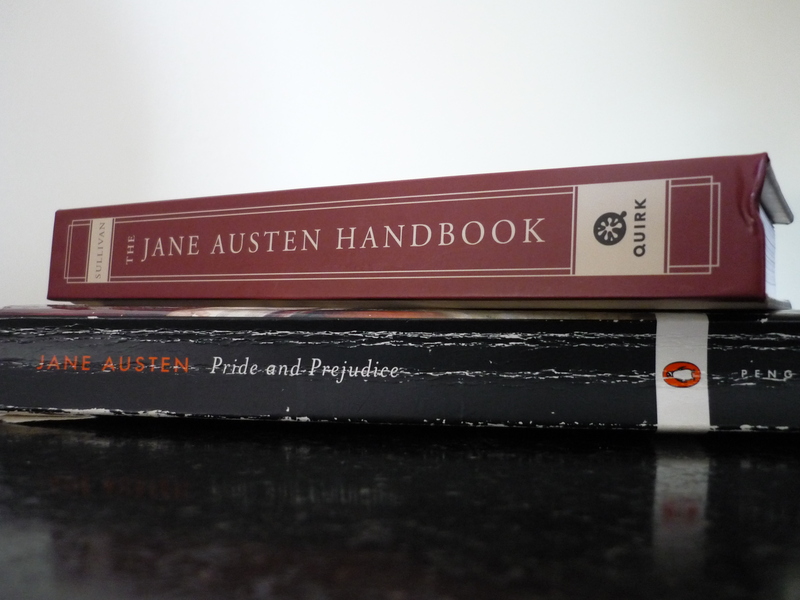 Currently residing in an obscure part of the blogosphere, this is my life with Pride and Prejudice. Callers most welcome.